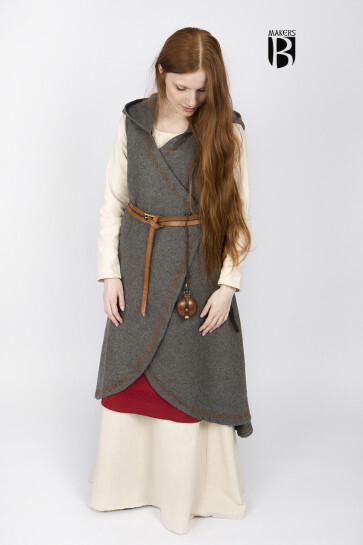 Enchanting wrap dress made of warm woolen felt, which adapts itself individually to the figure of the wearer due to its character. 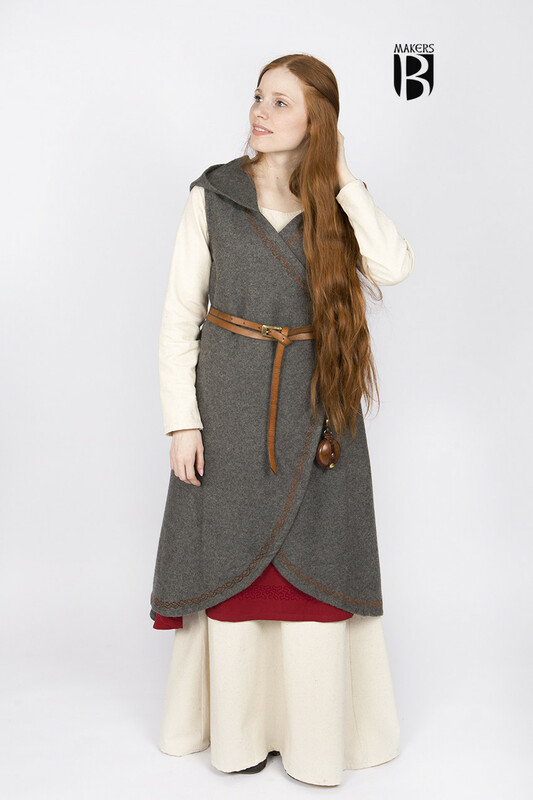 The model is further refined by the ornamental embroidery, the V-neck and a long hood. The different lengths of the front and back panels create a soft flowing and graceful look. 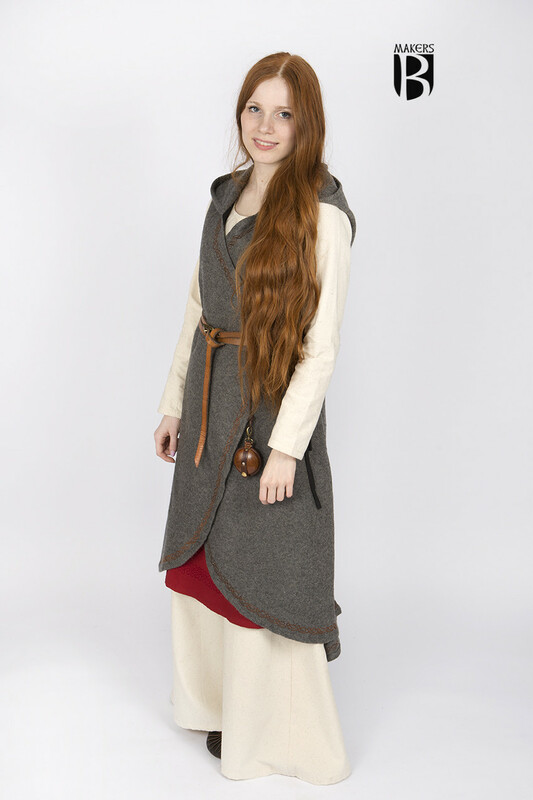 The Wrapdress Myrana can also be used very well to represent an elf, warrior or archer - the imagination is no limit in this dress. This model of wool felt is especially suitable for cold days. The material is warm, durable, wind and water resistant.